Summer has arrived in the Northern Hemisphere and it's been quite noticeable so far, both in the raise of temperatures and the decline of crowdfunding projects. We at The Funding Crowd have done our best to bring you the best projects we could find, even if that meant delaying this 48th issue by one week. It hasn't been easy, including a very interesting campaign being launched and subsequently canceled, but here we are one month after our last meeting and we are bringing you the best Gems we could find. No Biggies though, sorry. 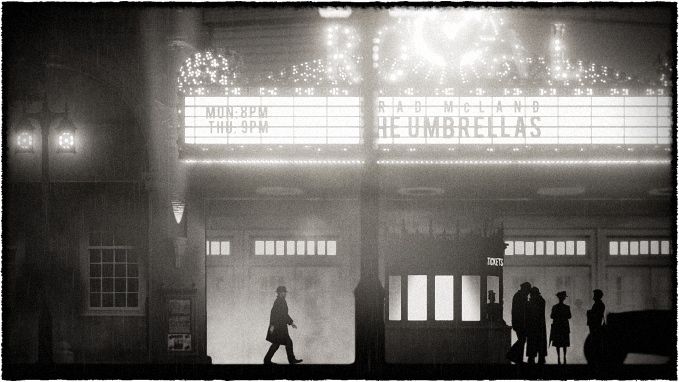 RENOIR is a film noir-inspired story-driven puzzle platformer powered by Unreal Engine 4. 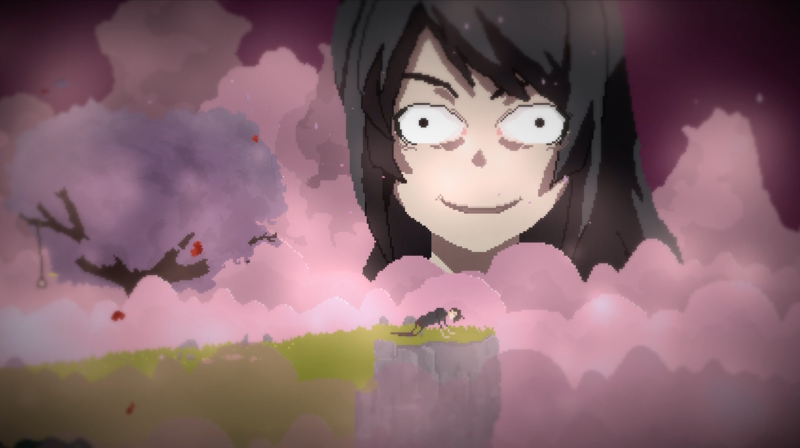 The game is soaked in atmosphere, from the sharp visuals and moody music, right down to the gritty voice of the protagonist. James Renoir is a former police detective turned PI, struggling to make ends meet in a city of crime and corruption. One night, as he is about to get a lead on his latest case from an informant, he is caught off-guard and shot. Death doesn't get the better of this private eye though, because he wakes up with a determination to find his killer. Renoir can no longer communicate with the living, and he must avoid light at all costs. He does have a new trick up his sleeve though, since he's now able to call upon the help of the souls of the victims at any scene of a violent crime. When controlling these souls, he can perform a set of actions that will be repeated in the exact same manner when set in motion. By making use of multiple souls, he can orchestrate their actions to make them work together and enable himself to progress past any obstacle. If you want to help make this game become a reality, you can pledge £9 or more for a DRM-free copy of the game when it's complete, and a spot in the credits. £15 will also give you a copy of the soundtrack and a digital art book, and for £20, you'll get an extra copy of the game to give to a friend. Backers can choose between a DRM-free copy or a Steam key, since the game was Greenlit after just a week. With just over two weeks to go, and a large portion of the goal still missing, this project is still in dire need of backers. There's no doubt nostalgia is one of the main driving forces behind videogame creation. And probably, its action is nowhere more felt than in the crowdfunding scene, as the successful and acclaimed Wasteland 2, War for the Overworld, Pillars of Eternity, the new Shadowrun games, and many more can attest. But nostalgia isn't only at play in direct sequels and spiritual successors, sometimes a certain aesthetics or a particular set of mechanics are enough to take us down Memory Lane. This other kind of yearning is what A Hole New World is trying to tingle, and it looks like it may well be able to succeed in that respect. 8-bit graphics with a NES-like HUD and color palette? Check. Chiptune music? Check. Side-scrolling action reminiscent of classics like Mega Man, Ghouls 'n Ghosts, or Castlevania? Check. Big, scary, and difficult boss fights? Check. Ability to be played with a NES controller? Heck-yeah-check! Everything we loved in the NES era games, plus modern playability, seem to be in place in Spanish Mad Gear Games' debut title. It began as a Ludum Dare entry done over a weekend, and after yielding some good reactions it was later expanded into a full game. The story certainly won't win any best original screenplay award: the world was long ago split in two by an almighty goddess, locking all the evil creatures in the lower half. But still they managed to find a way into the peaceful upper lands, threatening the status quo. It's now the Potion Master and his fairy helper Fäy's job to send all the demons back to where they belong, fighting their way across 5 different stages and switching between the upper and lower halves of the world (through the titular holes) in each one of them. Apart from being the nasties' natural environment, the nether world has the peculiarity of being upside down, adding to an already high difficulty level. As they make progress, both the Potion Master and Fäy will gain additional powers and abilities to help them save the world. Which incidentally they'll be able to achieve in several ways, as different endings are planned, along with a New Game+ mode, so replayability value is guaranteed. The campaign is already funded, so your contributions will now help the attainment of stretch goals. The first one will see the addition of Valdis Story composer Zach Parrish to the team to create an orchestral version of the music for the game. The next ones are devoted to different console ports, and console versions of the game will be handed out to backers at the $20 level or more. However if you're only interested in the Linux PC build, a mere $9 pledge will secure you both a Steam key and a DRM-free download. From a fantasy metroidvania with NES-era nostalgic tones, to a futuristic spaceship combat game that relies on a wholly different hook to grab our attention. 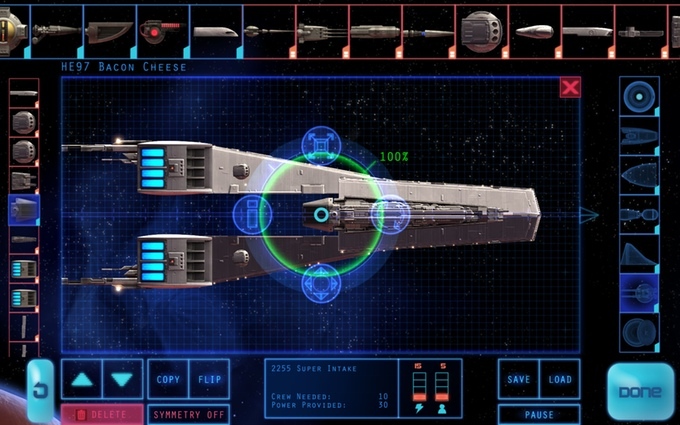 Indeed, there are many tactical space combat games out there (even for Linux) but, as far as we know, none of them are built around the simple yet fascinating premise behind Defect: build a ship, choose a crew for it, and go on a mission to defeat some rebel traitors, only to be betrayed in turn by your mutinous team when they defect to the other side after you've completed the mission. So it's back to square one, building a new ship to fight your previous one, and recruiting the men and women that will eventually abandon you, in a never-ending cycle of betrayal and revenge. This sole concept is reason enough to jump at this project and back the hell out of it, and this comes from someone that doesn't usually dig space-themed games. Just think about the implications: you'll want to create ships powerful enough to beat your opponents, but not too powerful as you'll inevitably have to face them soon afterwards. Or just put some sort of Achilles heel in your design in order to exploit it in your next battle, and hope your current enemy doesn't spot it and puts a premature end to your game. Anyway, as you may have already guessed the ship construction phase plays a crucial role in Defect, arguably a more important one than combat itself, so the ship editor had better be good. Unfortunately we cannot check it first hand as the current Steam demo is only available for Windows and Mac, but judging by this video it seems to more than meet the expectations: a wide variety of parts coupled with almost total freedom to combine them make for virtually an infinity of ships to be designed and tested on the (asteroid) field. The graphics are another strong point of this project, more colourful and high-res than the average game in this genre, and even the music is supposed to depend on your ship design! Does this game have any defect, then? Indeed it has, its lack of funding! At the time of writing, the campaign stands slightly over 40% of its $40kAUD mark with little more than one week to go. We know that the last few days is when most of many campaign's funds are gathered, but it still needs all of the help it can get. Defection is not an option! If you're nothing like the treacherous quacks among its ships' crews, you can help Defect become a reality by backing it. 12 Aussie dollars will grant you a Steam key for the final game (with the slight possibility of a DRM-free download as well), and a $30AUD pledge will also entitle you to alpha access and having your name in the game's credits. One Dreamer is an intriguing mash-up of puzzle adventure and cinematic platformer, presented in vivid pixel art. The two distinct play styles are separated in a puzzle focused Reality state and a lucid Dream state, with stealth platforming, crafting and item interactions. The psychological narrative draws inspiration from Catherine and The Last of Us, and follows aspiring game developer Frank as he spirals deeper and deeper into a twisted dream state, where his girlfriend, pet rabbit and co-workers become warped counterparts of their real selves. The player's actions and decisions, even the most menial ones, are supposed to affect the final outcome of the story so think twice before answering an email sarcastically or bashing the coffee machine when it won't return your change. You never know the possible consequences of doing that. The game is also receiving a lot of detail in the sound department. Firstly it will be fully narrated with voice acting, to avoid disconnecting the player from the story by having to read too much text. And secondly the original soundtrack is being created alongside the game, so both story and audio fit perfectly together. Just like with our previous Gem, a demo has been made available for Windows and Mac, but unfortunately, there's none for us to try out as of now. The developers aim to deliver a Linux build of the finished game DRM-free and on Steam though, and you can secure a copy by pledging $10 or more for one of the limited, but abundant, reward tiers. Road Racer Hills had a steep hill to climb to true victory, and ran out of gas after raising $5k out of the desired $35k. Nevertheless, it was a flexible-funding project so the $5k raised will go towards development. secret plan B which sounds rather likely to have a negative impact on release schedule. Voxelnauts campaign reached an impressive $120k, but that was only 60% of the $200k goal. Those of us rooting for this developed-on-Linux sandbox MMORPG will be happy to know that an alternate funding source seems likely, and the developers plan a pre-order web store in the near future and alpha testing around the end of the year. Dimension Drive achieved success in its second attempt at crowdfunding, with the help of almost 1,200 genuine pledges. The grand total of nearly 37k€ allows for 3 additional game modes: a non-stop Boss Mode, an infinite procedural level Horde Mode, and a local 2-Player Mode, both co-op and PVP. The expected release date is late 2015, so be ready to save the multiverse aboard The Manticore very soon! Never Ending Night's campaign ended at the gates of the 300% funding mark, so it cannot be labeled anything short of a rotund success. Unfortunately the stretch goal plan relied on the number of backers rather than the pledged amount, so only the basic version of the game will be delivered. On August, mind you, not last month as it was erroneously stated in the Kickstarter rewards. First-person horror adventure Perception ended up as a Winner as well, although as we feared in our latest issue the final funding figure was not enough to overcome the Linux (and Mac) support stretch goal. Good news is the already available pre-orders will still count towards the Kickstarter stretch goals, so all hope is not lost. If you're interested just keep an eye for the eventual Linux support announcement, either on the Kickstarter updates or on the devs' blog, before placing your order. The Aquatic Adventures of the Last Human was led to safe harbour thanks to the support of 478 backers who succumbed to its pixelated and synthetized charms. The "Shadow of the Colossus of the sea", as it has been dubbed, is on its way and in the meantime you can still donate if you happened to miss the campaign. All good things usually come in threes, so The Bard's Tale IV, inXile's third foray into Kickstarter, was as successful as Wasteland 2 and Torment: Tides of Numenera. Well, maybe not as successful as those ones since it only managed to raise 125% of its goal, but that's still more than $1.5 million dollars nonetheless. And as many as 4 stretch goals unlocked, including enchanced crafting and companion NPC systems, and additional dungeons designed by RPG veterans such as Numenera's Monte Cook. Right now the game is at the pre-production stage, with most of inXile currently working on Torment and the Wasteland 2 director's cut, but as those projects are getting completed the new adventures of the Bard will begin to take shape. The wait will be long (more than 2 years in fact as the release is currently expected for October 2017), but we're convinced it will be worth it. Myst fans may soon have a new reason to celebrate: the Myst-inspired Quern is blazing a trail towards victory, having already met the £20k goal with over 1,000 backers. And that was Issue 48, a light and easily digestible one, perfectly suited for the harsh Summer heats. And since this is probably the least active part of the year in regard to crowdfunding, we aren't committing to any schedule for the next TFC issue; as soon as there are enough interesting things to tell we'll be here to inform you about them. Until then, have a nice one! Please PM one of the team: (scaine, Speedster, muntdefems, flesk, or DrMcCoy) if you think you can help or just want to chat about Crowdfunding, or indeed, the summer heat! And of course, remember that you can use the comments, Wiki, or forums to keep us updated on any suggestions that you'd like to see covered. I've backed some Linux games on Kickstarter recently that I'm really excited about. It really is too bad that Voxelnaut's Kickstarter didn't work out, though. I think it had bad luck on its timing so close to the Steam summer sale. When I saw the article here on GOL about it I had already spent way too much money on the sale to help out. It's probably true that JRPGs are vastly underrepresented on Linux (I'm not really a fan of them, though), but this is expected to change soon-ish with the advent of several Kickstarted examples of the genre: Soul Saga, Project Phoenix, Edge of Eternity, or the recently funded Regalia. Really sad about Voxelnauts, it looks amazing, I hope they still get funded a different way, seeing the work they already have I believe they will find a way! Renoir looks pretty interesting. And you forgot to mention We Happy Few amongst the winners! I was really bummed by the unfortunate fate of this project. I've been in contact with the devs, who are self-proclaimed Linux users and was very excited about bringing their open-world parkour game to our platform. They haven't given up on the project though, so hopefully we'll get to include it in a future issue of TFC. If you mean linear, turn-based adventure RPGs, we have Pier Solar, Evoland, the Costume Quest games and the two first Penny Arcade RPGs (though I'm not sure about the availability of those). I agree that we could use more though, and it would definitely be great with more Japanese games.